Photobook Australia offers a wide range of products and services at incredibly low prices in Australia. These Photobook Australia promo codes expire soon, so don’t forget to bookmark this page now. Latest Photobook Australia promo code: Grab the opportunity to save up to 85% on purchase of exquisite & beautiful photo books from Photobook Australia. Hurry up, limited period offer! Photobook Australia free delivery offer: Create beautiful photo books for various themes and occasions & get free express shipping on orders above $75. Limited time Photobook Australia coupon: Get new themes & designs on all photobooks for 50% discount from Photobook Australia. Acquire the deal as early as possible. Seasonal Photobook Australia deal & sale: Check out quality 8" x 11" medium portrait 40-Page Imagewrap Hardcover Photobooks from Photobook Australia & save $51 on its purchase. New Photobook Australia discount: Subscribe now with name & email id at Photobook Australia & get a chance to choose a 4R Prints or Mini Photobook absolutely free. Exclusive Photobook Australia voucher codes: Sign up for Photobook Australia's newsletter to check out latest deals, promotions & offers. Catch the exciting deal now! Photobook Australia is part of the global Photobook brand, which combines high quality products with personal images to create custom gifts and homeware products. The DIY printing service specialises in beautiful albums of family snaps, but any image can be added to any of the brand's hundreds of product lines. From marketing gifts to soft furnishings, almost anything can be customised with your own images and designs. 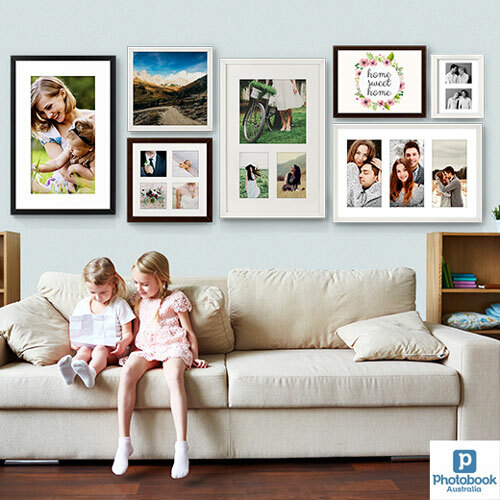 Photobook Australia has three major product lines outside of the album range: Stationery, Photo Gifts and Home Décor. Home Décor: Style your home in a unique way that shows off the things most important to you. As well as a range of canvas and metal prints of your images, this category includes soft furnishings and more. Photo Gifts: Whether you need a present for someone's birthday, a thank you gift for staff members, a unique tag for your pet or a fun puzzle for your little ones, Photobook Australia can help you create something special and memorable. The gift range includes a whole host of fun and practical items. Holiday Cards- Easter, Happy Holiday, Mother’s Day, etc. Wedding Cards- Wedding Invitation, Save the Date, etc. Baby Cards- Baby shower, baby congratulatory, etc. Birthday Cards- Adult, Pets, & more. Invitation Cards- Wedding, Graduation, New Year, etc. You can find two types of calendars one is desk and another is wall calendars. The brand's flagship product is the Photobook Australia. The books come in a range of sizes and styles, and each page is filled with your favourite photographs. You can curate the collections yourself and produce as many books as you like. Each page can be fully customised with text, graphics and other embellishments to create a truly personal, memorable keepsake or gift. Deals Of The Week: Check Out The Offers Now! Photobook Australia allows you to order and pay now, but come back later to assemble and create your product. Even better, this picks you up a cool discount on any product range! Coupon codes are available every week, with different deals and discounts. Right now, you can save up to 40% on Photobooks, 50% off all canvas & metal prints and more. Bulk purchases get big discounts with Photobook Australia. Pick up multiple copies of Photobooks or have a range of promotional gifts and marketing materials made just for you – at up to 80% off with free shipping! Free Paper Upgrade on all Photobooks. Newsletter: Discover more when you sign up with the retailer's site. The company will send you a regular newsletter email filled with product updates and promotional deals, so you never miss a bargain. Currently they offer free 4R prints or mini Photobook for email subscription. Make your Photobook order even cheaper by using the coupon code available at the site. To make use of your coupon, sign up with the company and select the product you want. Enter your coupon code in the specific box and payment details to buy at a reduced rate, or create the product first and pay later. Don't wait too long though – the offer is only open for a limited time! Special memories need to be cherished by creating the best & exquisite photo books, albums, photo prints, etc. & it is possible with the help of professional printing. PhotoBox & Vistaprint are the best names and the most reliable online print suppliers that help preserve memories & experience the joy of your own designed photobook. Grab plenty of savings online amazing discounts & promotions provided by these top retailers. Standard shipping is free of charge for almost all of Photobook Australia's products – customers only pay for Express, Signed-For and Priority deliveries. Delicate Softcover prints will be charged for, as they require extra care during dispatch and transport. Standard postage can take up to 21 days to arrive; all Priority orders will arrive within six days of your order. Due to the customised nature of the Photobook product, the company does not offer refunds. However, faulty goods will be replaced as soon as possible – contact the brand in the event of a problem and they will talk you through your options. Sometimes the fun of a Photobook is in the creation. If you want to give someone a special gift, but know their talent for scrapbooking exceeds your won, give them a gift card instead. 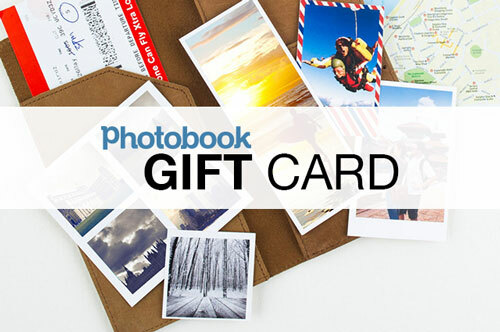 Photobook Australia's gift cards start at $25 and can be used to buy any other products on site. There's a bonus gift for you as well! Right now, all gift cards are available at 10% off – so everybody gets a treat. You can follow the Photobook Australia brand on many different social media channels. Look for the company on the following sites for news, promotions, design advice, lifestyle blogs and more.